Does the protection apply equally to both digital products, like a Netflix free trial, and physical products, like a razor blade free trial? 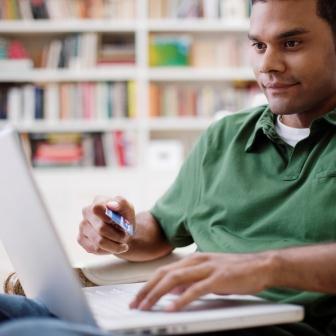 When does auto payments after a free trial start? DATE? Ура! Раньше не могли додуматься до этого? Does this cover trials & recurring payments in the Apple AppStore & Google Play Store? A clear example of such acts is the free trial from Sony Playstation Plus and subsequent withdrawals from an account in silence. Well done Mastercard. It’s better late than never. Thank you. This is good …. should have been implemented years ago, but ok. When will this new consumer protection be implemented? another clear example is AMAZON, they take your card details then start taking money without telling you. I had to close my account! Nice to see that new trends and regulations starting to take effect at the consumer side. Seems to be a good step towards customer satisfaction and security. Wow! This is a _GREAT_ initiative, really. Big step for consumer protection. I’d like to see it implemented. Hopefully the merchants won’t find an easy way around this restriction. This is a great policy and credit card feature. I contacted my bank, the my BJ’s Wholesale Club card, and they knew nothing about this. I contacted MasterCard directly, and they also knew nothing about this. Shouldn’t MasterCard inform its customer service teams about the feature and train them before announcing a new feature? This is a bad customer experience. Announcing a new feature, but not being able to sign up for it, get any information, or have a date that it will be available, somewhat defeats the purpose, not to mention causes customer confusion. It is really good service. What date will it apply from? Wow, I’m stunned that MasterCard is actually doing something that helps protect consumers. In the US market especially, profit comes before all. MasterCard must be losing some serious cash on customer support and reversals to roll out this feature. Although this is totally a cost saving feature, I’ll take any consumer friendly features I can get, even if they are spun for marketing to make it seem as though MasterCard is doing this out of concern for consumers. When does your new policy about being charged for free trials begin? I never in 1 million years thought I would say this, but bravo! MasterCard. This is wonderful. I would add one small clarification: make sure that the cancellation process includes an option where *I don’t have to speak to anyone*. Far too many times, those phone lines are open two hours a week, have an hour queue, and one you finally talk to someone, they are not able to cancel for made-up reasons and hang-up, send you at the back the queue, etc. What happens if the merchant doesn’t abide by this rule? A great initiative. It should have been taken by public institutions starting from the EU but they are negligent (as usual). So well done. Thank God! It is way past time for this! My question is……what took so long? Great new policy but why did you exempt streaming services? If a trial is truly “free”, why do companies need our card number in the 1st place? This is quite an announcement. Can you confirm that this is only applicable to physical products and not services such as Netflix or online software products? if not, are there plans to included online software products? Thanks for making the companies offering free trials the responsibility to check after trial is the consumer wants the subscription to continue with payments taken out of acvouny. Great move for the consumer. Hey, so will all cards have this option, or only new ones, because my card was issued in 2017 ? Definitely mentioning this on the next show. MasterCard is taking a good step to decreasing charge-backs. . Thank for keep updating us! This is very important for us to know about everything related to the card. Please enhance this service on electronic subscriptions. I am just solving issue with nonauthorized automatic payment from my credit card but initialized from my daughers iphone. It is big issue. Hi, your article refers specifically to the purchasing of physical products. Can you clarify if the rule changes also apply to digital products and online services. Many thanks. Can you tell how me charge backs will be handled, if different, and if you think this will have any impact to the merchant because they won’t have the signature, which has always been proof of the sale, or part of the proof. Free trial of master card is indeed and a great idea! Glad to hear this super cool news. Thank you! It is a great offer to try all the services before opting them using free trials. Good move. keep going. NICE. i WOULD LIKE THIS VERY MUCH , AND SHOULD BE A GOOD BENEFIT. This is absolutely a good news. I Find it so hard to pull out of a subscription which i end up losing some bucks of money. I would love to have this. Does it have effect on all mastercard or on new ones? I’m interested in hearing more. I could even cook for you, but after this game of hide and seek. Do you have any idea what your little babies using your name have done to my life?? ?